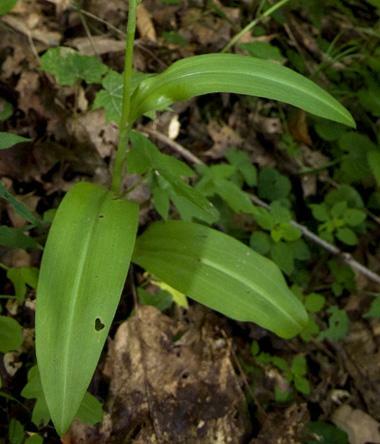 Platanthera shriveri, Shriver's Frilly Orchid, is a recently described species of possible hybrid origin with P. grandiflora and P. lacera as parents. 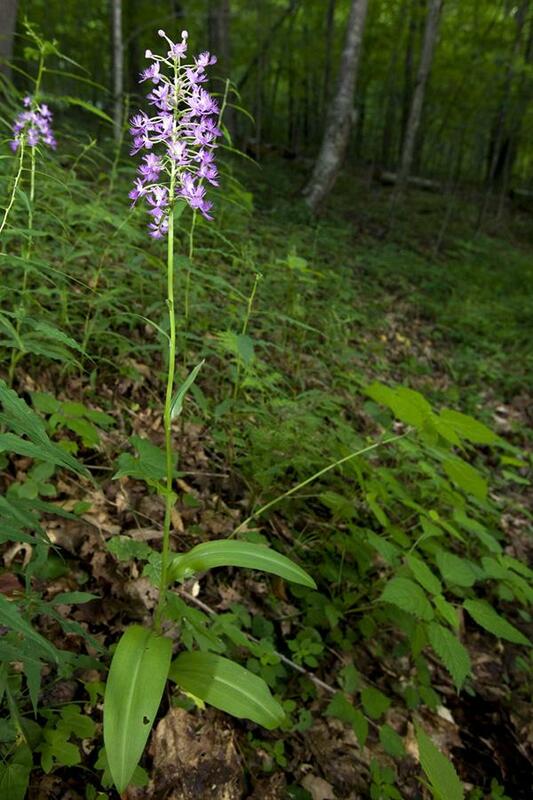 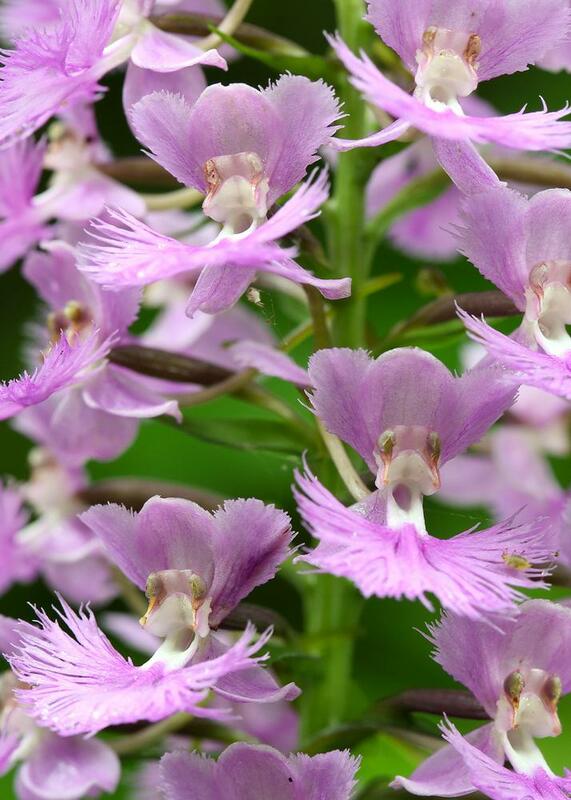 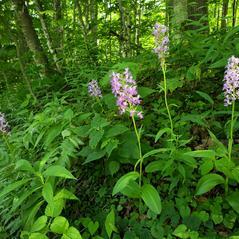 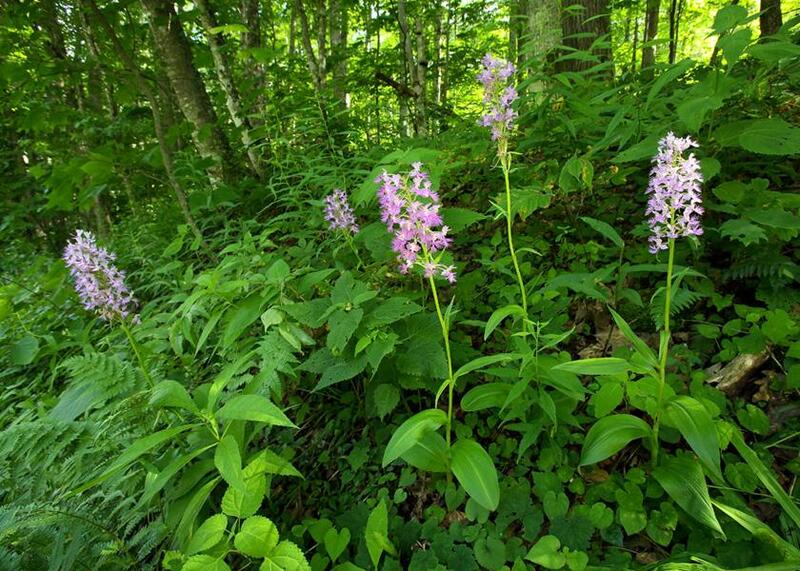 Field observations and examination of herbarium records indicate this orchid may be endemic to the Appalachian region with a historical range from North Carolina to Pennsylvania. 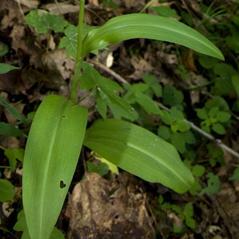 Recently this species has been reported in western Maryland. 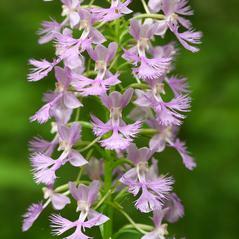 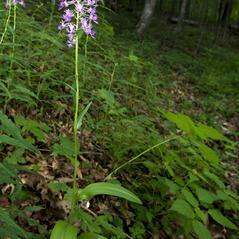 Platanthera shriveri can be distinguished from the other purple fringed orchids by morphology and flowering date. 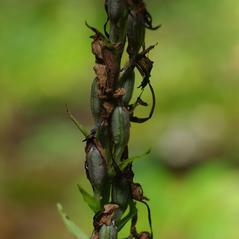 The inflorescence of this orchid has an open, lax appearance with empty spaces between the flowers. 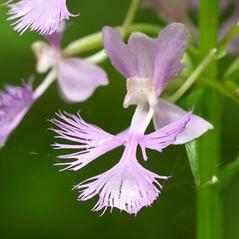 The lip is deeply fringed and the erect, spreading petals also have lacerate margins. 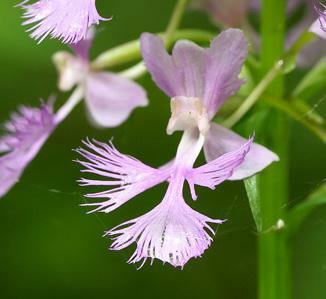 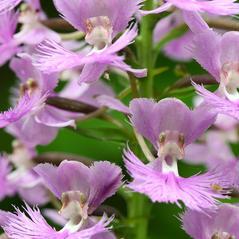 The orientation of the long, ascending nectar spur is unique among the purple fringed orchids. 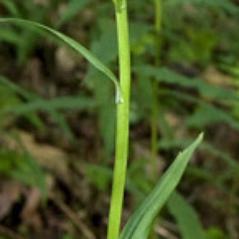 This orchid flowers in mid-July to early August, about three weeks later than Platanthera grandiflora in sympatric areas. 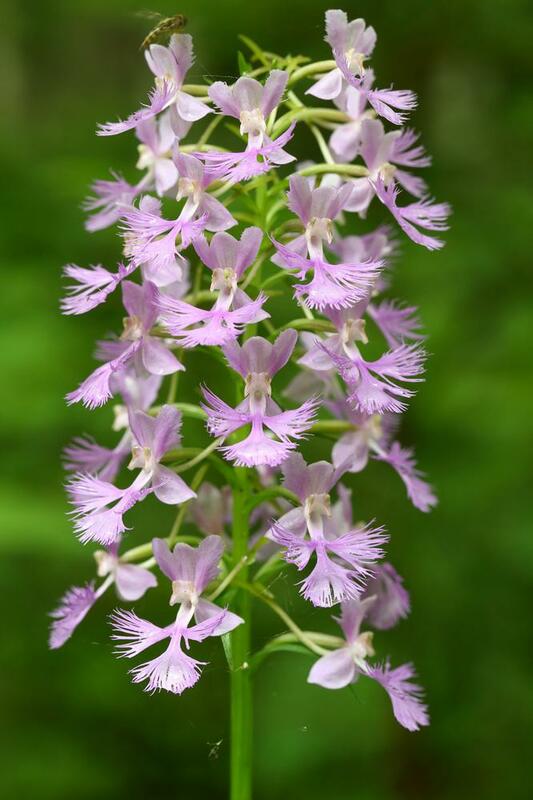 Most of the large, colorful Platanthera orchids in North America are pollinated by a variety of butterflies, day-flying moths and skippers in search of nectar. 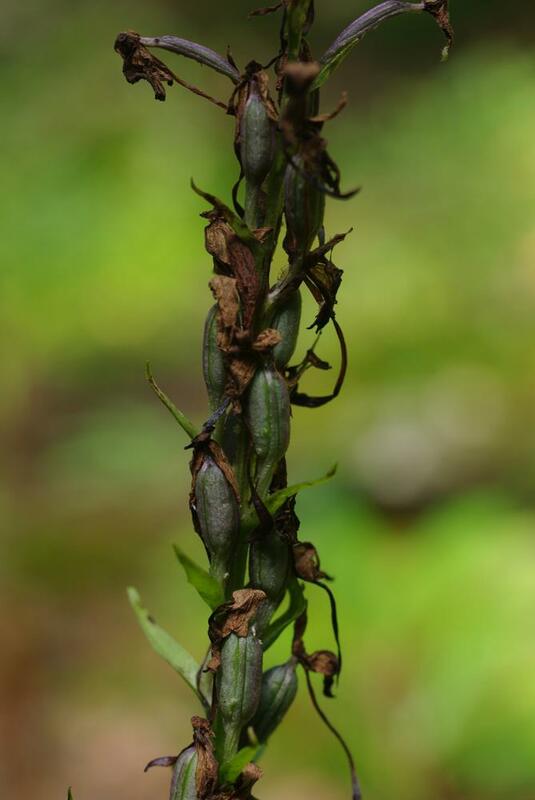 Evidence of pipevine swallowtails, Battus philenor, pollinating this orchid is quite recent and it is suspected that other large butterflies may also serve as pollinators.